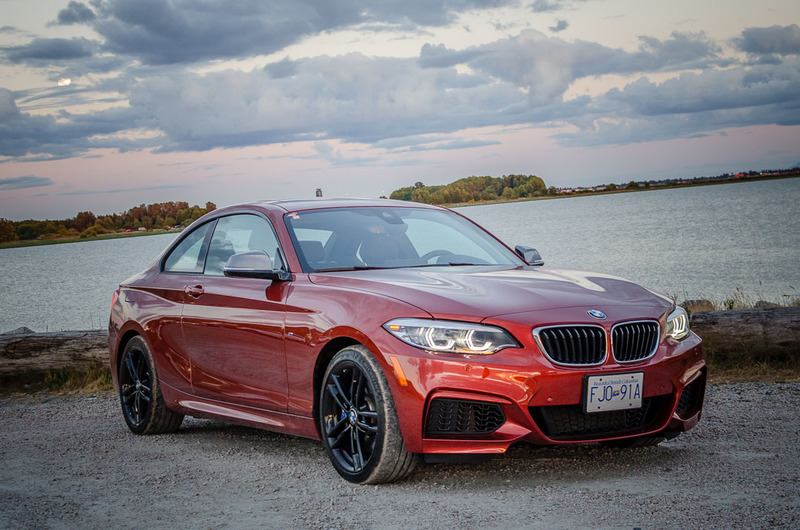 The 2018 BMW M240i is one of the most exciting sports coupe in the BMW lineup. 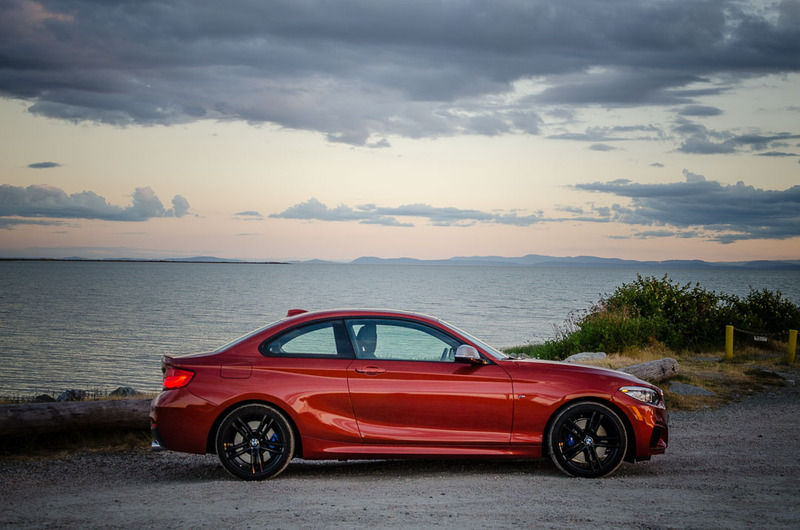 The new 2 series is a fast, nimble and fun to drive with M Performance tweaks. The new sub-compact coupe sports a muscular front fascia with redesigned double kidney grille, enlarged air intakes and adaptive Bi-LED headlights. The new LED headlights react to the speed, steering angle and yaw of the vehicle and automatically adjust to illuminate the road ahead. Our test vehicle in vibrant Sunset Orange Metallic is equipped with Premium Package Enhanced, Driver Assistance and Smartphone Connectivity package. It also has additional M Sport kit with M Performance exhaust and 18 inch M double spoke light alloy wheels. 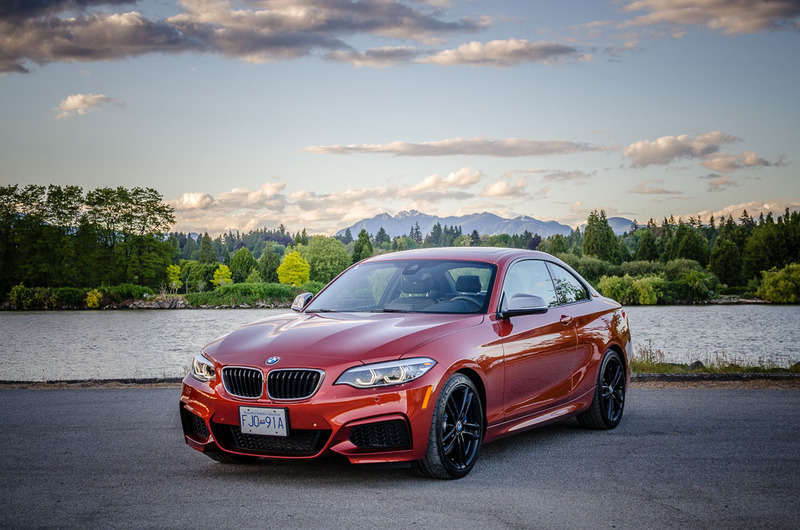 Under the hood, the M240i is powered by a 3.0 litre M Performance TwinPower Turbo inline six cylinder engine producing 340 horsepower and 369 lb. ft. of torque paired with a six speed manual transmission. The 2 series rockets from 0 to 100 km/h in 4.8 seconds. It’s only 0.6 slower than the BMW M2 Competition. 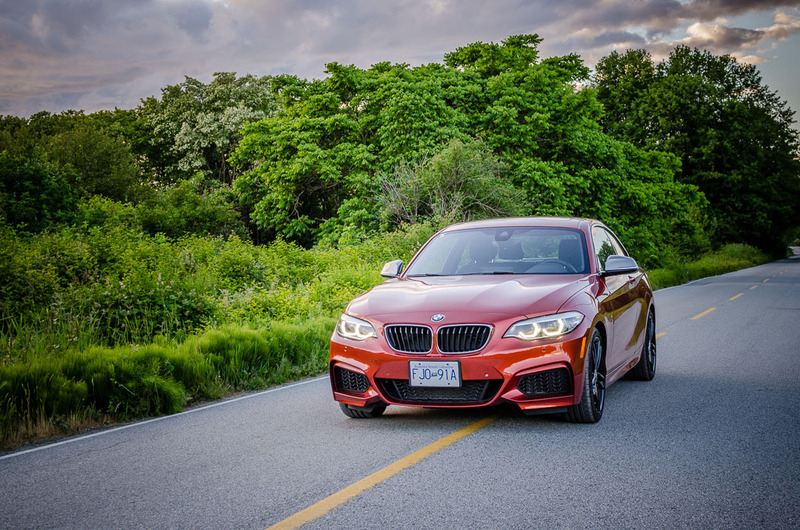 Standard on the M240i is Adaptive M suspension which uses real time data about acceleration, speed, and steering wheel position to constantly adjusts the suspension in response to the changing road conditions. You can adjust firmness to match your driving style from comfortable to sporty. In comfortable mode, the ride is relax and smooth while in Sport mode the chassis firms up to give you responsive control. The luxurious interior of the 2 series is well designed with adequate room for the front passengers. Legroom in the rear is fairly cramped. The refine interior features black Dakota leather with comfortable M sport seats and M leather steering wheel and. It’s also equipped with Variable Sport Steering which reduces the steering wheel movement required to achieve a tight steering angle. It makes it easier to maneuver in tight corner or parking. I love that BMW is keeping the manual transmission on the 2 series. 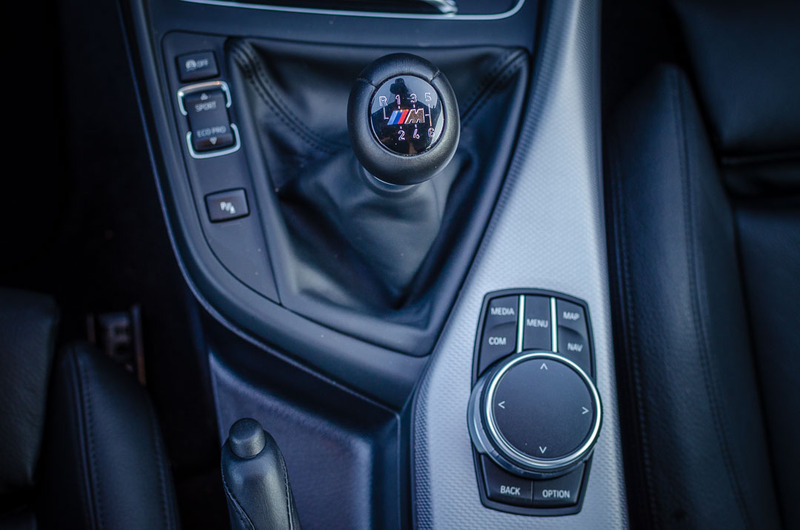 I enjoyed driving the six speed manual as its more engaging and rewarding. It brings back the joy of driving. 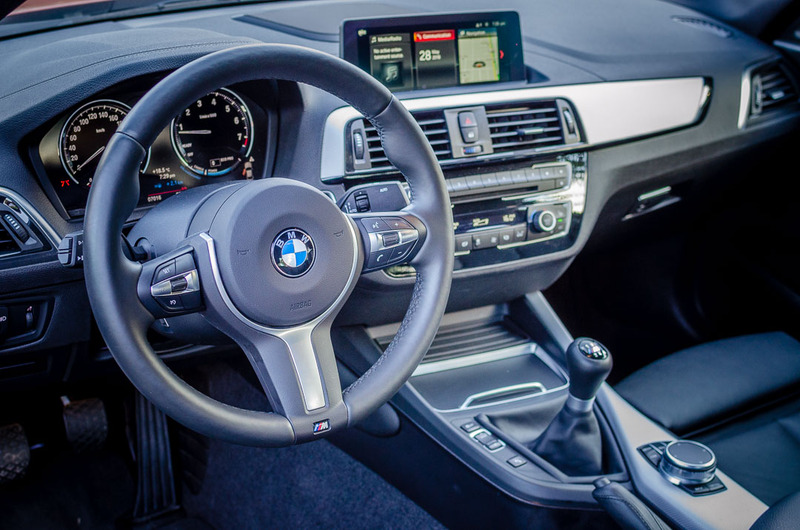 The 2 series comes standard with the latest generation iDrive infotainment system which you can control by voice, iDrive Touch Controller or from the 8.8 inch touch screen. The new and improved voice control function allows you to use natural phrase to control the telephone, climate control, navigation and audio system. 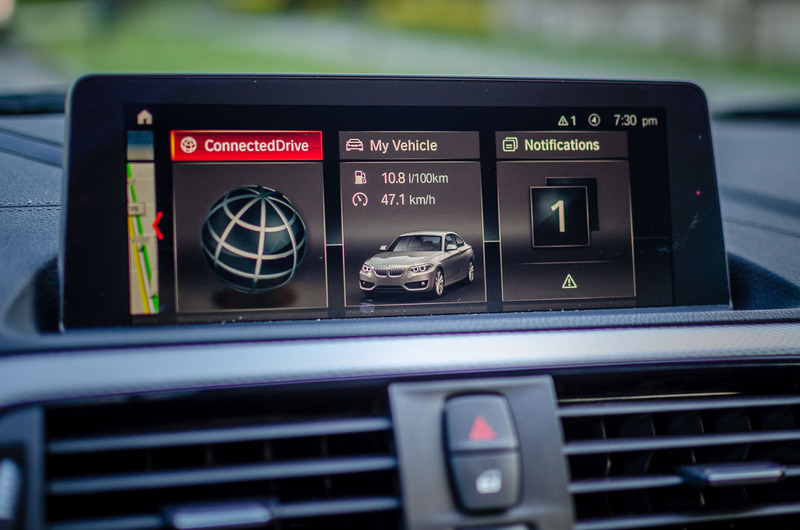 Our test vehicle has the optional BMW ConnectedDrive Services Professional which includes BMW Online, Real Time Traffic Info, Concierge Services and Remote Services. The Concierge Service connects you to a BMW call centre agent at the push of a button. The agent can help you book a hotel reservation and send the address directly to your navigation system. With the Remote Services, you can control your vehicle from your smartphone. You can remotely locate your vehicle, adjust the climate control and check your vehicle status. 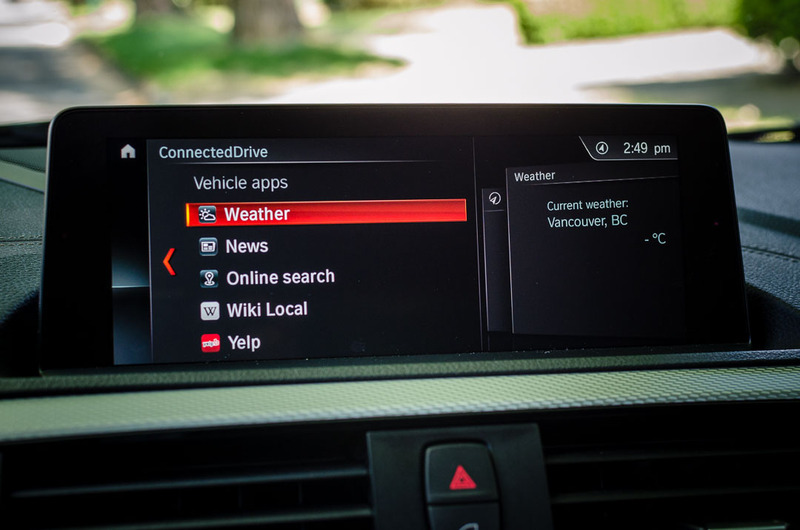 BMW iDrive 6.0 only works with Apple CarPlay which you can use Siri to read to your iMessages, play your iTunes playlist and control the navigation system. 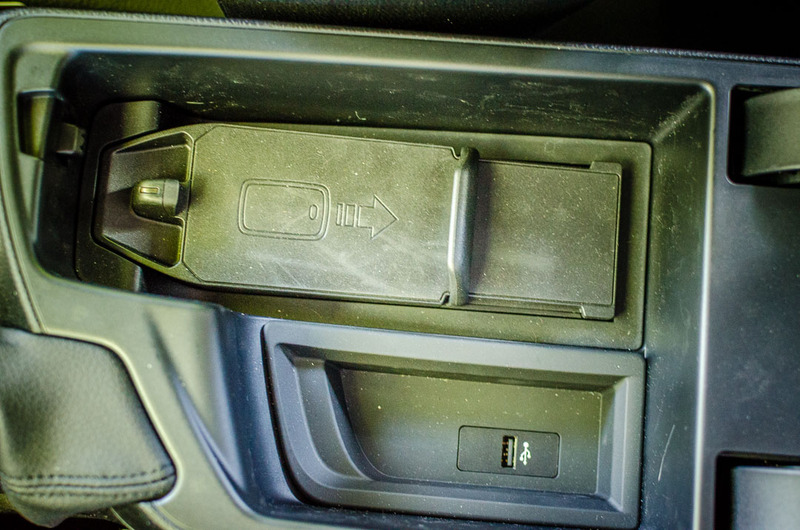 In the centre compartment, the M240i has the optional wireless charging tray and 1 USB port to connect your smartphones. It also has a built-in WiFi hotspot so you can catch up on emails or watch YouTube videos. The optional Driving Assistant Package comes with Lane Departure Warning and Approach Control and Person Warning which applies the brakes automatically to prevent collision with another vehicle, motorcycle or pedestrian. While the Parking Assistant system use ultrasonic sensors to help you search for parking space and automatically parallel or perpendicular to the road. 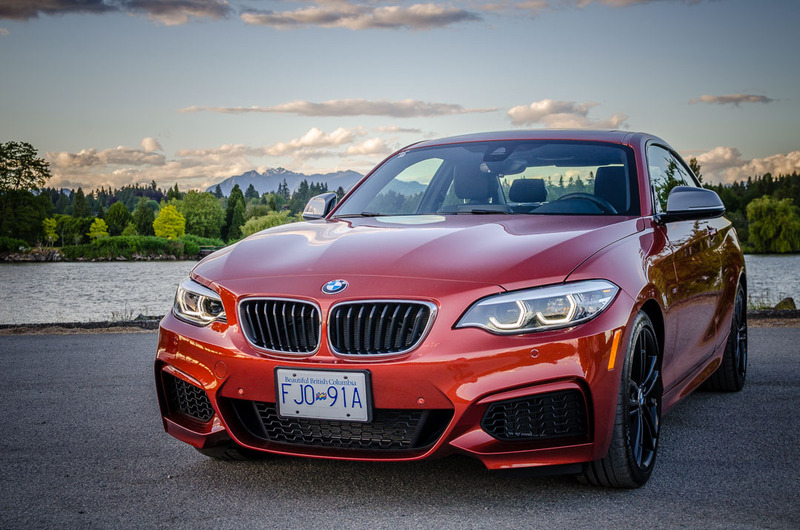 On the road, the M240i is a fantastic sports car. It’s light, nimble and super fun to drive. It delivers a thrilling ride with plenty of power and minimal turbo lag. 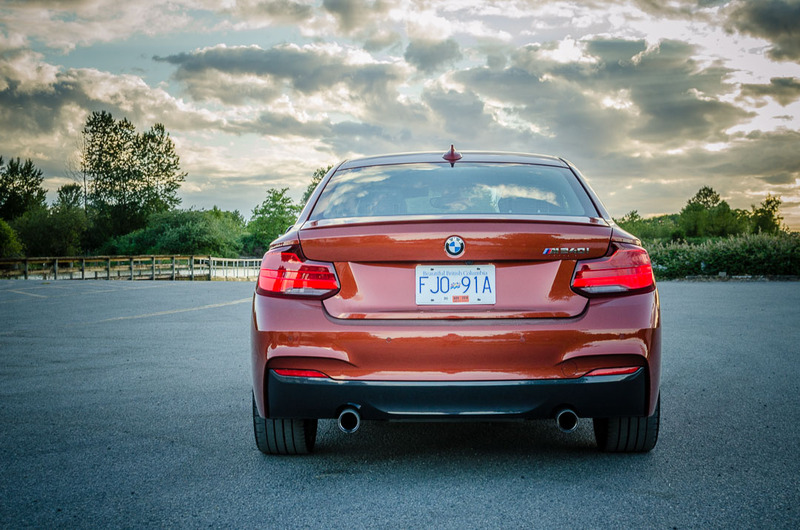 The M Performance exhaust adds some nice pops and crackles to your daily drive. 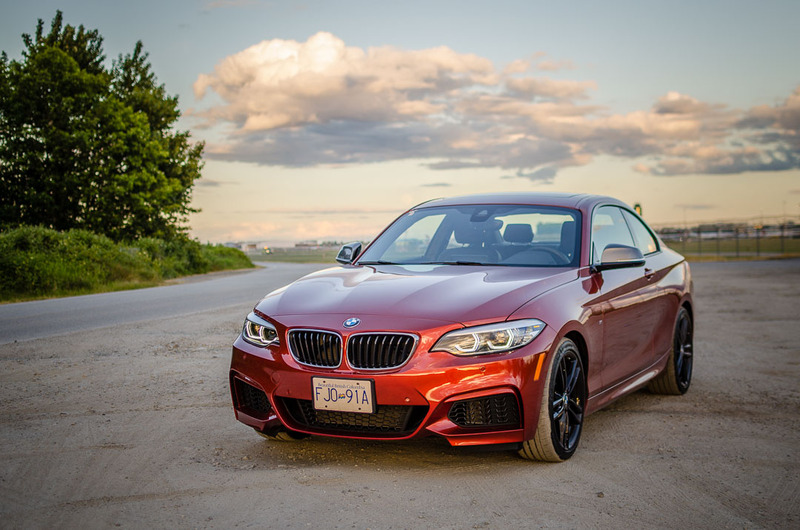 Overall, the M240i is exhilarating as the BMW M2 without the hefty price tag. It’s a driver’s car with great handling and impressive power from the 340 horsepower M Performance six cylinder engine.